For the second straight year, the Baranof Barracudas Swim Club is organizing the race, taking over event hosting duties from the Hughes family. Registration takes place online at http://juliehughestri.com/. The entry fee is $25 per person, and people can enter as individuals or teams. Participants are encouraged to have bike safety checks done at Yellow Jersey Cycle Shop before the race. The course is a five-mile run from Blatchley Middle School to the U.S. Coast Guard-Air Station Sitka gate and back, a 12-mile bike ride from Blatchley to the Starrigavan Recreation Area at the end of Halibut Point Road and back, and a 1,000-yard swim at the Blatchley Middle School swimming pool. There is a shorter course available for participants who are age 12 or younger. New this year is a high school challenge competition between Sitka and Pacific high school clubs and other groups (Mount Edgecumbe High School has already completed its school year and the students have gone home). The top school clubs or groups with the most participants (one point per event leg per person) can earn a $200 donation to the school activity fund. 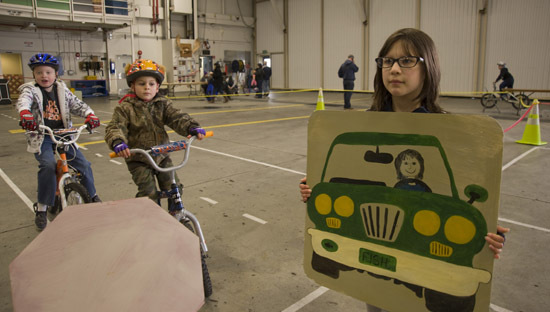 BIKE RODEO – Rianna Bergman, age 7, pretends to be a motorist as part of an obstacle course for young bicyclists Saturday, May 4, 2013, at the annual Sitka Bike Rodeo, an event hosted by the Rotary Club of Sitka and the U.S. Coast Guard-Air Station Sitka at the Coast Guard hangar. The Sitka Bike Rodeo teaches young cyclists about bicycle safety, provides bike safety checks, free helmets and other info to help prepare local kids for a safe summer of cycling (Daily Sitka Sentinel photo by James Poulson). Sitka cyclists are encouraged to join with thousands of others from around the country as they ride in the second annual National Bike Challenge, a free event that runs from May 1 through Sept. 30. Cyclists can ride as individuals, for their workplaces or on other teams, and the mileage they log also will help their cities and states in the rankings. This event launched last year, but some changes this year will make it easier for people to participate. The challenge was extended a month this year, so it now is five months long and covers the entire summer. Participants can record the miles of their commute to work, as well as logging their various errands around town, just so long as they ride a bike. It doesn’t count if people use machines. It’s easy to participate. Just go to the website, create a profile and log in your miles. You also can join teams from the website. For those of you with smartphones, the Endomondo app is available for free for iPhone, Android and several other devices, and its global-positioning system tracking will record your workouts directly into your profile. The Endomondo app also will record workouts in other sports besides cycling, such as walking, kayaking, and even dancing. There already are several teams in Alaska, including the University of Alaska Southeast Sitka Campus created for staff and students. Other Sitka teams are encouraged so we can get a little friendly competition going. For those who missed the May 1 start date, if you’ve been riding you can back-record your workouts so long as you create a profile before the end of May. There are monthly prizes (awarded by random draw to cyclists nationwide who score a certain number of points), and additional prizes at the end of the contest. Not only is May National Bike Month, but May 8 is National Bike to School Day, May 13-17 is National Bike to Work Week and May 17 is National Bike to Work Day. These are great times to leave the car at home and take the bike to work. Click here to read Gov. Sean Parnell’s proclamation about these events. 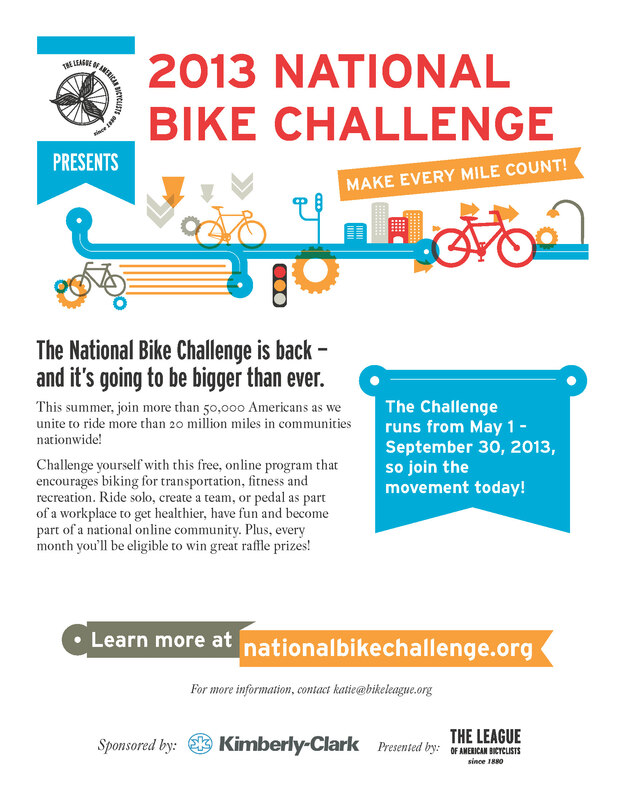 Sitka cyclists are encouraged to take part in the second annual National Bike Challenge, which runs from May 1 to Sept. 30. 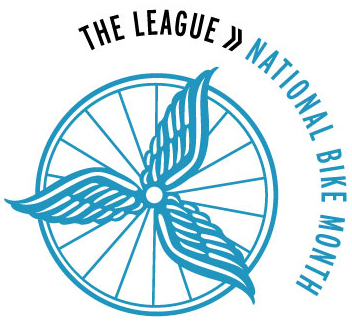 This free national event is trying to beat last year’s total of 30,000 people riding 12 million miles during the five months from May through September (last year’s event was four months long). Riders can win prizes for participating as individuals and/or teams. Individuals also earn points for their communities and states. This year there are some Sitka organizations forming teams, such as the University of Alaska Southeast Sitka Campus team for students and staff. There also are smart phone apps that can track your distance and record it. This also is the second year of National Bike to School Day, on Wednesday, May 8, which is a chance to encourage students to develop healthy lifestyle habits such as riding a bike or walking. 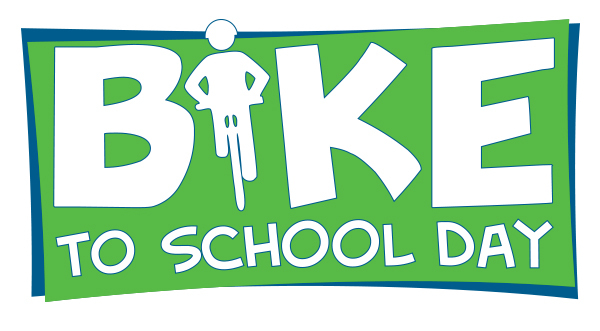 School districts have the opportunity to schedule special events for National Bike to School Day, and they can list them on the national site to earn pioneer status. Parents should feel free to join their children to ride to school that day. 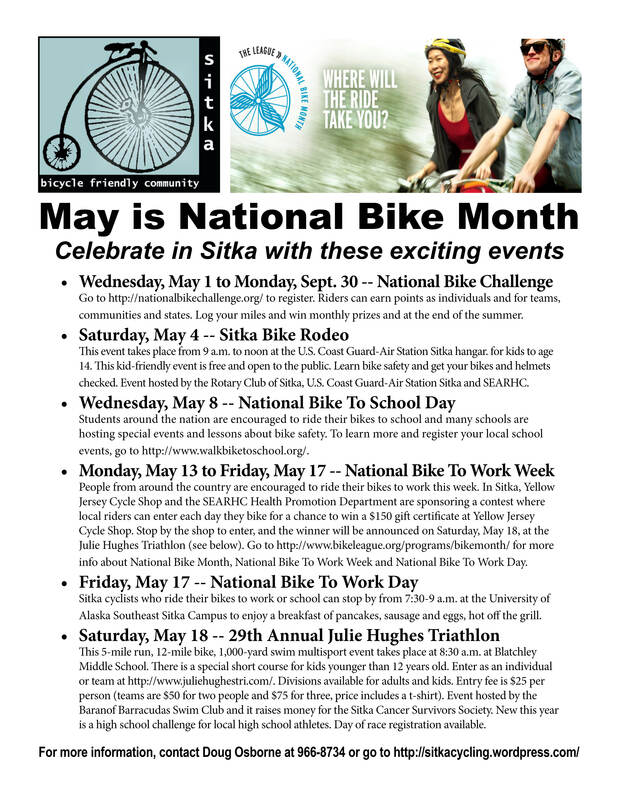 One of the highlights of National Bike Month in Sitka is the Sitka Bike Rodeo, which this year takes place from 9 a.m. to noon on Saturday, May 4, at the U.S. Coast Guard-Air Station Sitka hangar. This free event teaches young riders bike safety, provides the kids with bike safety checks, skills drills and more. It is hosted by the Sitka Rotary Club, U.S. Coast Guard-Air Station Sitka and SouthEast Alaska Regional Health Consortium (SEARHC). 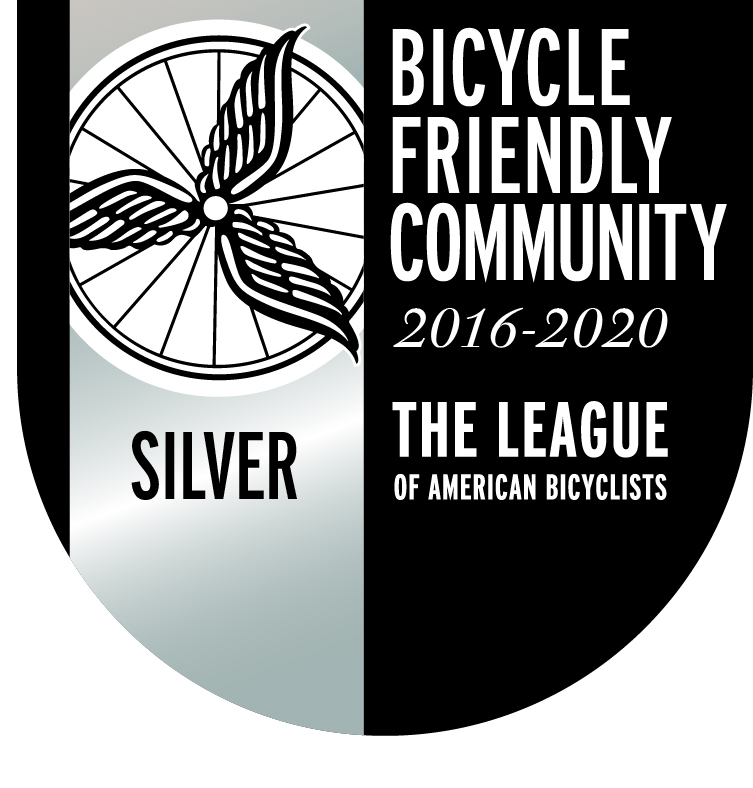 National Bike to Work Week kicks off on Monday, May 13, which is when the League of American Bicyclists will announce its next group of Bicycle Friendly Communities. Sitka received its renewal of bronze-level status last May and this year Anchorage is up for renewal. Each year, Sitka hosts a National Bike to Work Week contest where people who ride their bikes to work or school on May 13-17 can stop by Yellow Jersey Cycle Shop to enter a contest to win a $150 gift certificate from the shop and SEARHC Health Promotion. The more times you ride, the greater your chances to win. Friday, May 17, is National Bike To Work Day and the University of Alaska Southeast-Sitka Campus will host its annual free pancake breakfast from 7:30-9 a.m. Ride your bike to the university and get free pancakes, eggs and sausage fresh off the griddle. Finally, the 29th annual Julie Hughes Triathlon takes place at 8:30 a.m. on Saturday, May 19, at Blatchley Middle School. This event is hosted by the Baranof Barracudas Swim Club. The triathlon features a five-mile run from Blatchley to the U.S. Coast Guard-Air Station Sitka entrance gate and back, a 12-mile bike ride from Blatchley to Starrigavan Recreation Area at the end of Halibut Point Road and back, and a 1,000-yard swim at the Blatchley Middle School swimming pool. A shorter course is available for children age 12 or younger. There is a $25 per participant entry fee for individuals and teams, and proceeds from the triathlon benefit the Sitka Cancer Survivors Society. 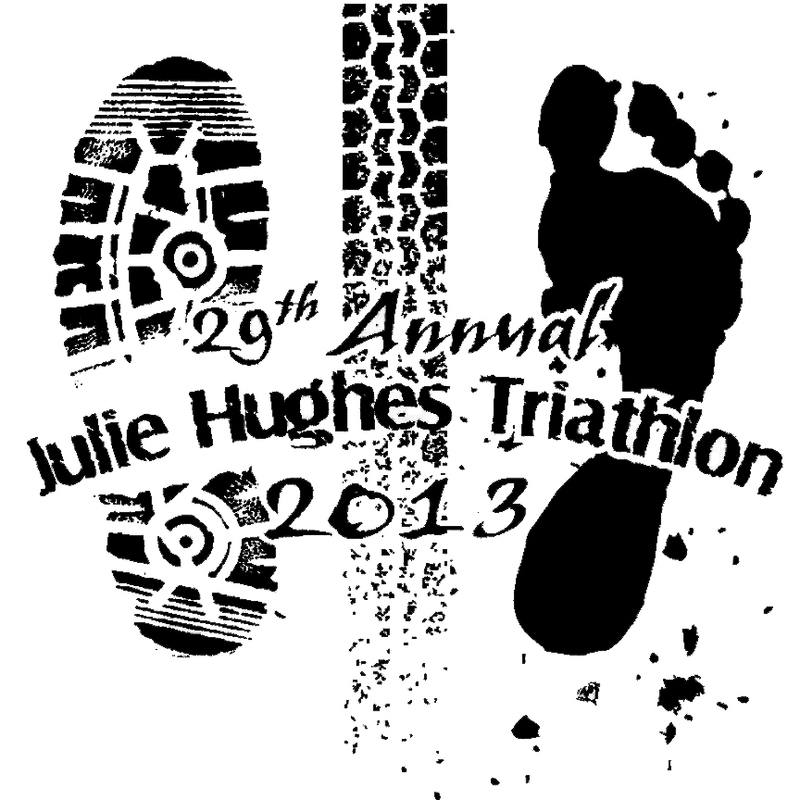 Event registration is online this year at http://www.juliehughestri.com/. For more information, contact Kevin Knox at 738-4664 or e-mail bbsc.sitka@gmail.com. To learn more about Julie Hughes, who died from leukemia in 1985 when she was 15, and the triathlon’s history, read the article in this week’s Capital City Weekly. For more information about these events, contact Doug Osborne at 966-8734 or Charles Bingham at 738-8875, or watch this site for updates. Doug is supposed to be interviewed on the Thursday, May 2, Morning Edition Show at 8:18 a.m. on KCAW-Raven Radio, and when that audio clip becomes available it will be linked to this site. KCAW-Raven Radio also produced a story that aired on Tuesday, May 7, about National Bike Month from Doug’s interview.